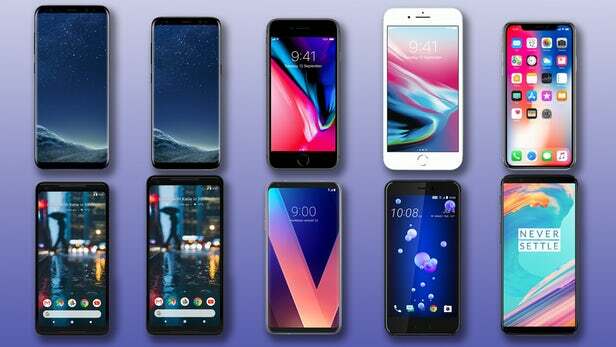 With high-end specs and low-end prices, a number of new smartphone brands are appearing in the UK – largely from China. The success of these brands could be key to breaking the dominance of Apple and Samsung – and their apparently ever increasing prices, in 2019. Huawei has now cemented its position in the UK market as one of the go-to brands for premium mobiles on a budget. In recent months, the US, Australia and New Zealand have barred China’s Huawei from supplying parts of their future 5G networks over concerns its technology could be used for spying by Beijing; Canada, Britain and some other western countries are considering doing the same. Now, the Chinese telecoms group is on a charm offensive. Its reclusive founder, Ren Zhengfei, made a rare public appearance to rebuff the concerns. It wined and dined global media in Davos last week. But there are limits to how much the privately owned Huawei can do. But with other Chinese smartphone brands looking to get in on the action, February’s Mobile World Congress (MWC) event could see some worthy competitors take the spotlight. Honor is already plying a good trade in the UK, recently announcing its flagship Honor View 20, and showing a clear desire to offer plenty of bang for your buck. Its phones are typically modestly priced – more so than Huawei, but it has also shown that it isn’t scared of innovation. How it evolves in 2019, will be interesting to see. Having officially landed in the UK at the end of 2018, Xiaomi will be looking to show off its existing range and its exciting work on folding phones at MWC 2019. There are already plenty of phones on offer through Xiaomi’s UK website, including the just-tested Xiaomi Mi 8, Mi 8 Pro and Mi MIX 3. Xiaomi also released a video of its ‘fold-in-three’ smartphone this month to build some hype ahead of its appearance at MWC. China-based smartphone group Oppo has close ties to OnePlus, with both brands sharing the same parent company – BBK Electronics. Back in July 2018, Oppo registered trademarks for 40 handsets in the UK and Europe, and now we have an official date for its UK launch – 29 January. Overseas, Oppo has made a name for itself more recently with the Oppo Find X. The trend-setting Find X is the first smartphone to use a motorised hidden panel for the front-facing camera. That nifty design choice means the display on the Find X is entirely bezel-less. We’ll be covering all the key announcements at the end of the month when Oppo shares its plans for UK consumers. Previous articlePoliticians Fingered As 3 Schoolgirls Are Found Dead With Private Parts Removed.